Many traditional business backers have opted to stick with the ruling Conservatives despite concerns over Brexit. Theresa May's Conservatives already have a strong lead in opinion polls. London: Britain's ruling Conservatives are expected to outspend the opposition Labour Party on campaigning for next month's election, with many of their traditional business backers opting to stick with them despite concerns over Brexit. The Conservatives already have a strong lead in opinion polls, but targeting money at areas they think they can win from Labour could help them achieve their goal of boosting their majority. Some former Conservative backers have threatened to withdraw their support, fearing their businesses will be hurt by Prime Minister Theresa May's plans to leave the European Union's tariff-free single market. 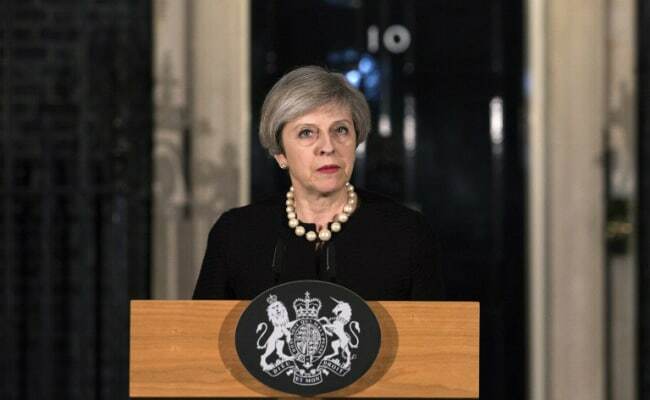 Others have concluded she is still the person they would prefer to have leading the two-year Brexit negotiating process, which she formally triggered in March following the referendum decision last June to leave the EU. "I have got to put that behind us and we need to make sure that the Conservatives stay in power," said Charlie Mullins, the pro-EU chief executive of London-based Pimlico Plumbers, who donated around 50,000 pounds to the Conservatives under May's predecessor David Cameron. Mullins funded a successful court bid that forced the government to give parliament a vote on triggering Britain's exit but still prefers May to left-wing Labour leader Jeremy Corbyn. He said the Conservative party had asked him for funds and that he would donate to a handful of candidates who he considers particularly pro-business. He has also hung a 30-metre "vote no to comrade Corbyn" banner from his firm's headquarters. Corbyn has pledged to increase corporation tax for most businesses, raise income tax for the highest earners and introduce a levy on companies who pay staff more than 330,000 pounds a year. His Labour Party, lagging far behind in the polls, sent out a plea for donations within hours of the election being announced, seeking a "people-funded" campaign which it has since said has brought in an average donation of 23 pounds per person. Trade Unions are by far Labour's biggest financial backers, and Unite, Britain's largest union with more than 1.4 million members, has already donated 2.4 million pounds to its campaign. Unite has promised up to 4.5 million pounds in total, news website Politics Home reported, citing a source saying other unions "didn't appear to have anything in their political funds". Unite did not have an immediate comment on the report. Parties are allowed to spend up to 19.5 million pounds ($25.24) on campaigning - 30,000 pounds for each of the 650 seats in parliament they contest - including anything from newspaper adverts to leaflets and transport costs. But May's decision to call a snap election for June 8 has left them with little time to raise funds. Figures released by elections watchdog the Electoral Commission on Thursday showed that during the first week of this election campaign the Conservatives received 4.1 million pounds of donations, compared to 2.7 million pounds for Labour. Spending more on an election campaign is no guarantee of winning: the Conservatives outspent Labour in 2001 but Labour still won a large majority, while in 2005 the funding was almost equal but Labour won again. More recently there has been some degree of correlation. In the 2010 election, in which the Conservatives overturned Labour's lead but fell short of a majority, the Conservatives spent more than double Labour's 8 million pounds. In 2015 the Conservatives boosted their lead into a majority, spending 15.6 million pounds compared with Labour's 12.2 million. "None of this is a substitute for face to face contact in the constituency," said Justin Fisher, professor of political science at Brunel University, adding that he expected the Conservatives would definitely outspend Labour again this time. Fisher also noted that Corbyn became Labour leader in 2015 on a surge of grassroots support and this could potentially help compensate for its lower spending levels. "The interesting thing with Labour is whether or not it can translate that massive surge in membership and supporters into people working in constituencies," he said. Fisher said that since political parties now directed most of their spending towards helping individual, constituency-level campaigns in the first-past-the post system, spending could make a difference if it was well directed. Asset manager Jeremy Hosking, who helped fund the 'leave' campaign ahead of last year's referendum, has said he will offer 5,000 pounds each to Conservative candidates in Brexit-voting seats with incumbent opposition lawmakers who supported remaining in the EU. The pro-EU Liberal Democrats have pledged to push for a second referendum on the terms of the final Brexit deal, while some Labour candidates say they will put pressure on the government to re-think its plan to pull out of the EU's single market and customs union.